The Virginia Discovery Museum supports local artists – and inspires budding artists – by featuring gallery shows in our Creation Station program room. Shows change every few months to feature a new artist and style. Artwork can be viewed Monday through Friday during open art studio hours from 12:00 to 3:00 p.m., September through May, and from 2:00 to 4:30 p.m., June through August. 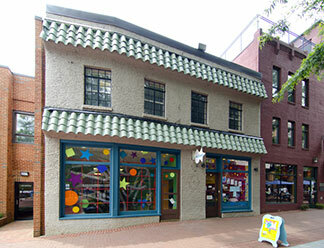 Galleries are occasionally open for viewing on Saturdays when Creation Station is open to the public. Displayed artwork is often available for purchase by contacting the artist directly. Illustrations from “Lulu,” a 2016 children’s book written and illustrated by Eliza Lucinda Rogan, as well as samples of Eliza’s animal-themed mural stickers. Eliza Lucinda Rogan is a children’s book illustrator, painter, and muralist. She studied at the School of the Art Institute of Chicago and earned a B.A. in studio art from the University of Virginia. 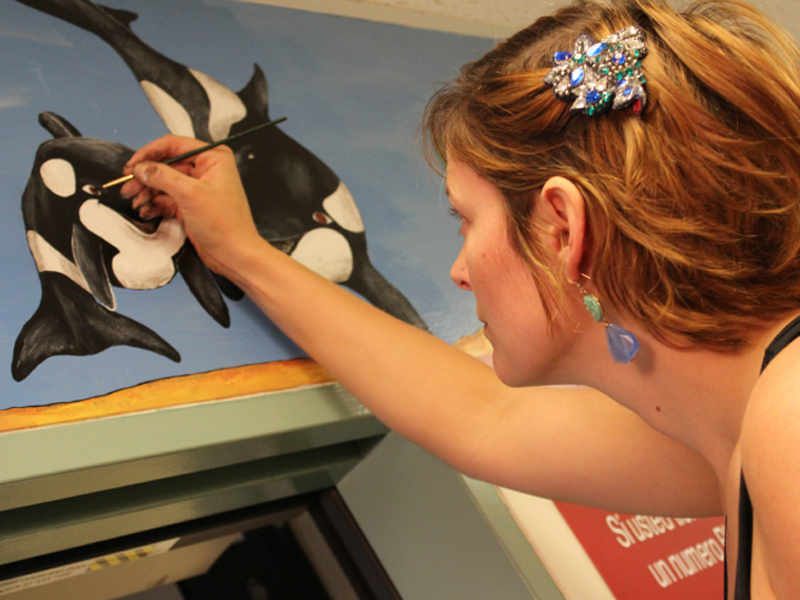 Her coast-to-coast mural commissions include top American medical centers such as UCSF and San Francisco General Hospital, cultural institutions such as the Wheeler Opera House in Aspen, Colorado, and the Sturgis Motorcycle Rally. Eliza and her musician husband, Josh Rogan, travel on the road in their 1962 Airstream with their daughter, Ramona, and their two dogs. Interested in hanging a show at the Museum? We would love to display your work as our next Featured Artist! Contact us at director@vadm.org or (434) 977-1025 x101 for more information.